The Law and Policy Chambers: Petition against Shutdown of Facebook and Twitter etc. Petition against Shutdown of Facebook and Twitter etc. 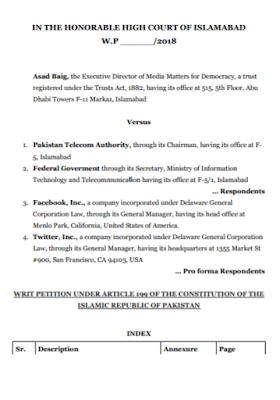 Constitution Petition Against Shutdown of Facebook and Twitter etc.